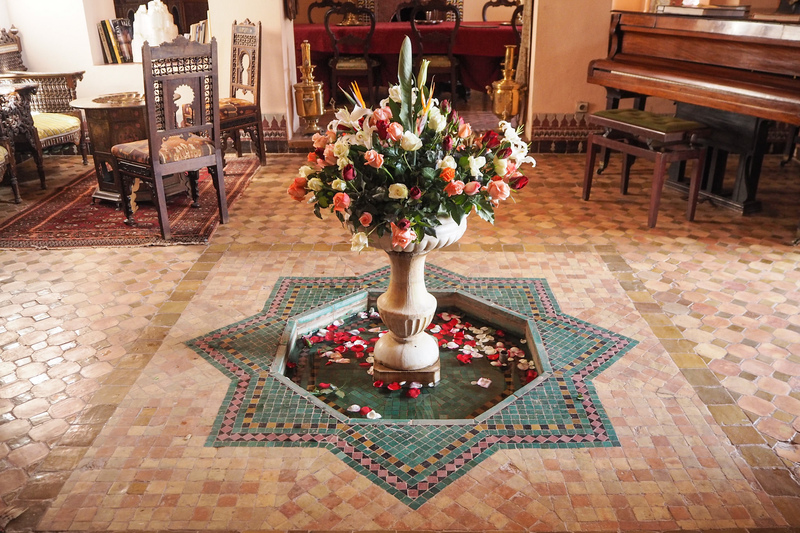 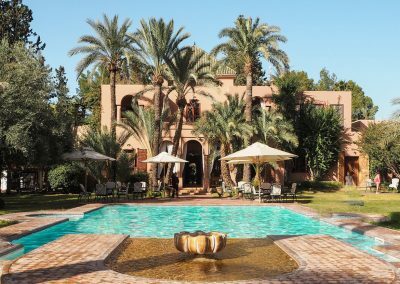 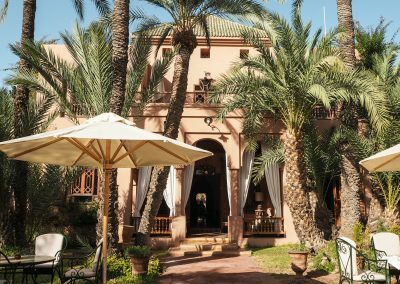 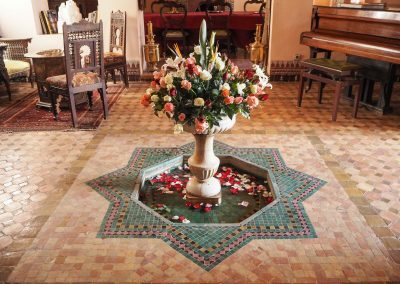 Set in a lush garden flourishing with stunning flowers in the Palmeraie of Marrakech lies a family run private villa, Dar Ayniwen. 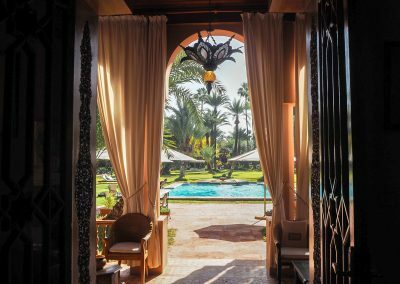 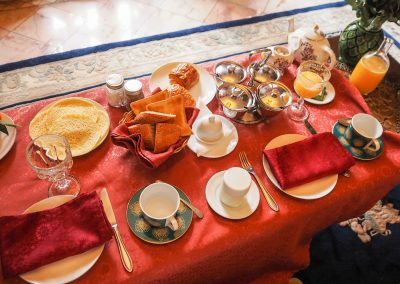 A five star hotel with the most friendly atmosphere with a home away from home feeling - with authentic Moroccan furnishings and colorful rugs. 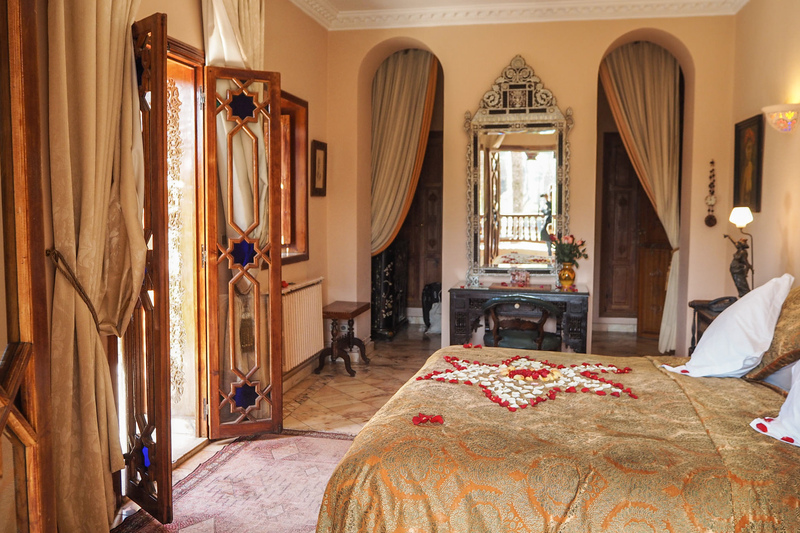 Dar Ayniwen features 10 suites and each of these rooms has its own character. 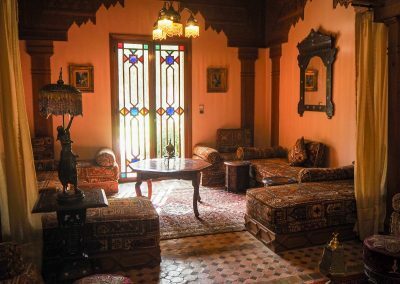 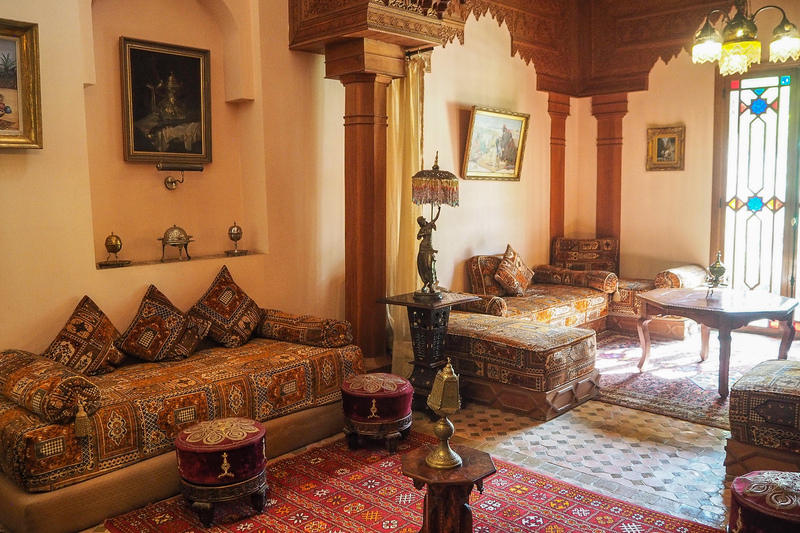 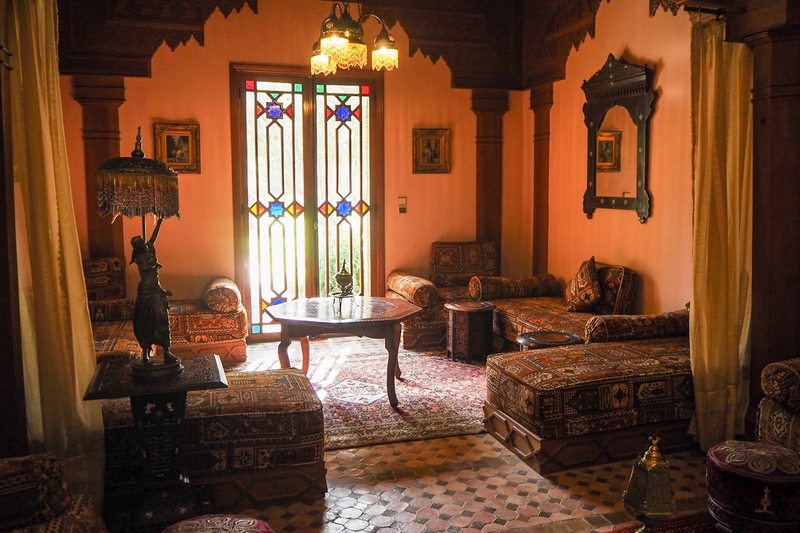 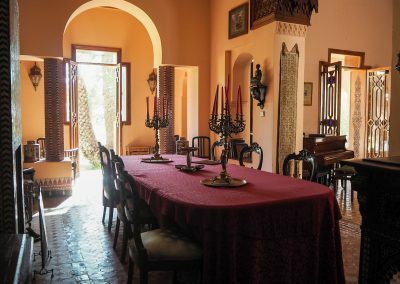 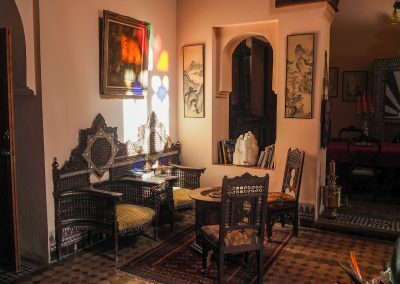 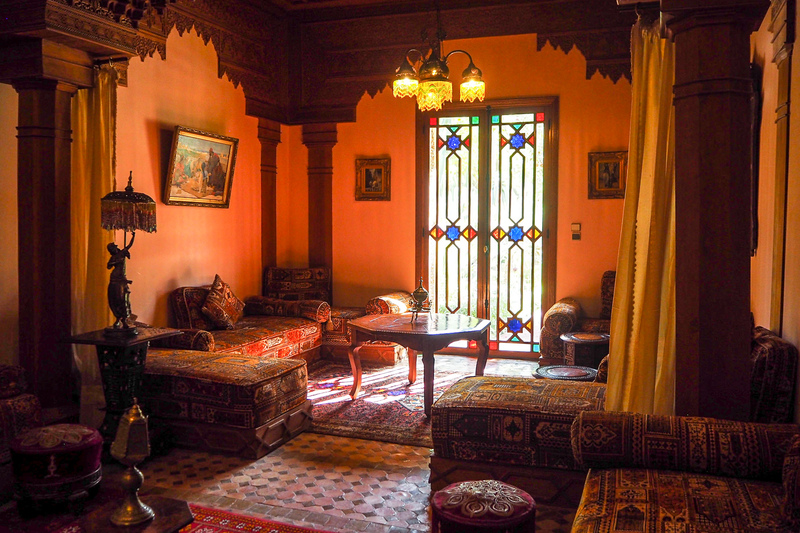 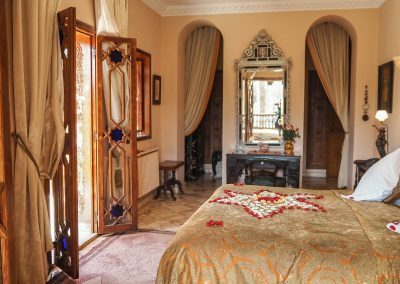 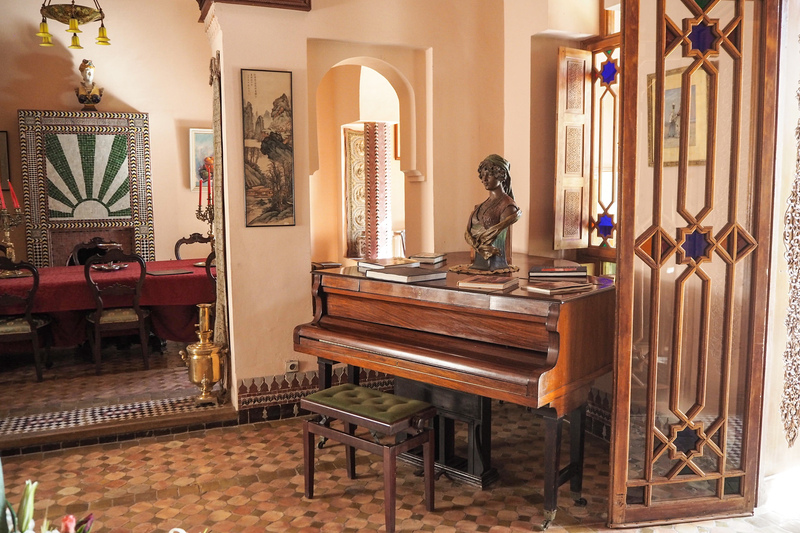 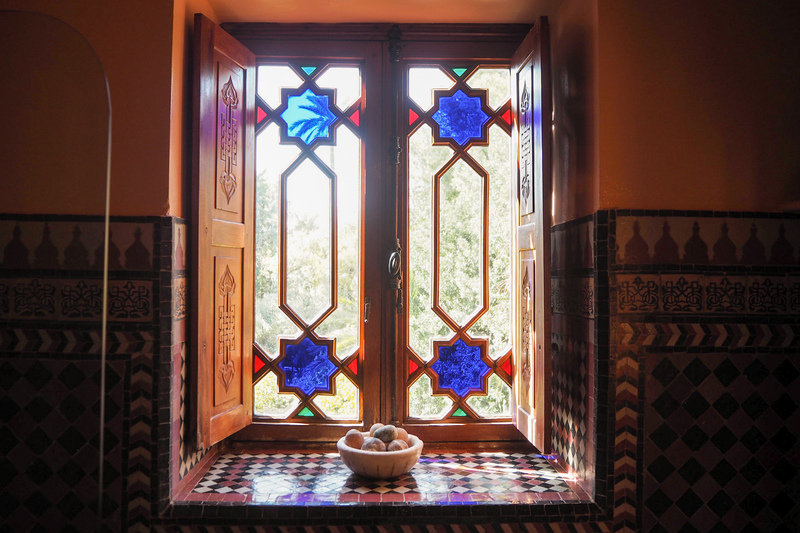 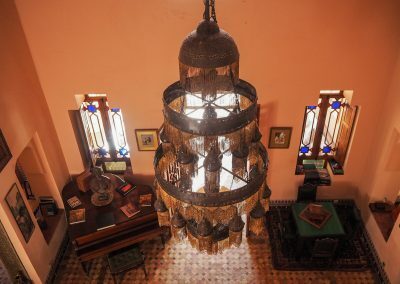 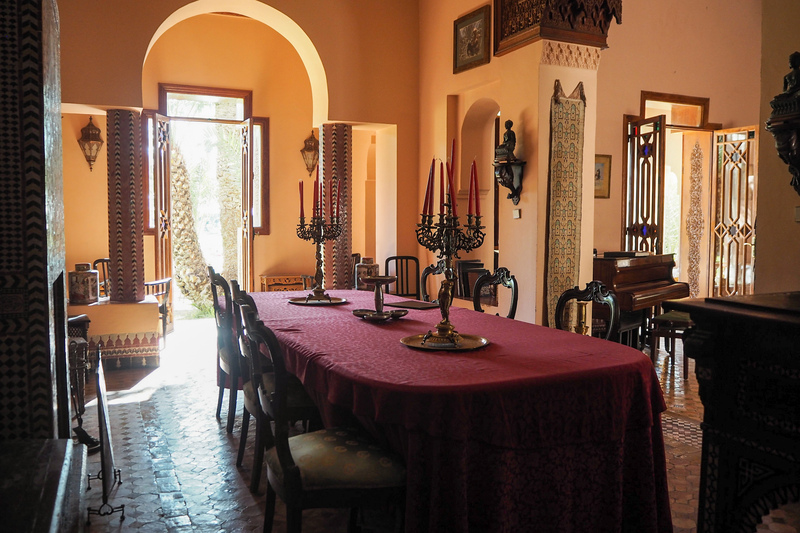 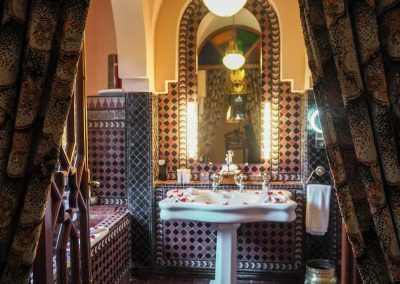 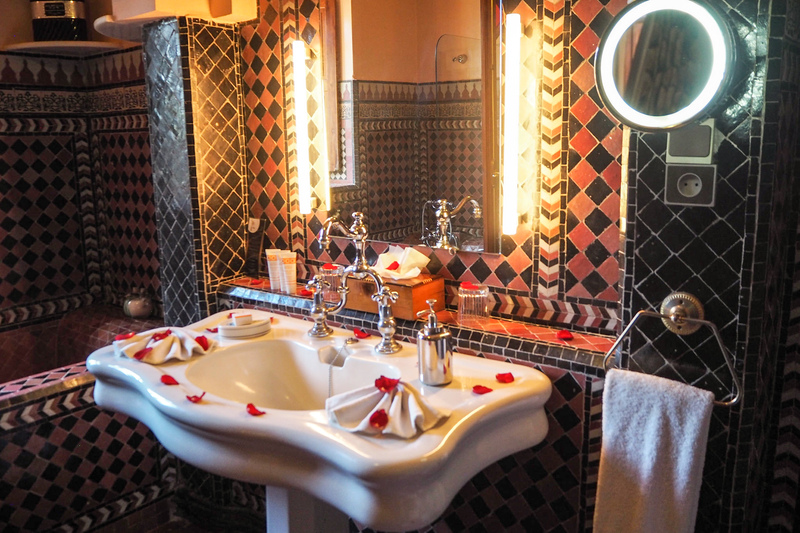 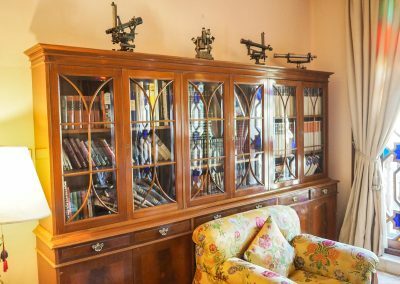 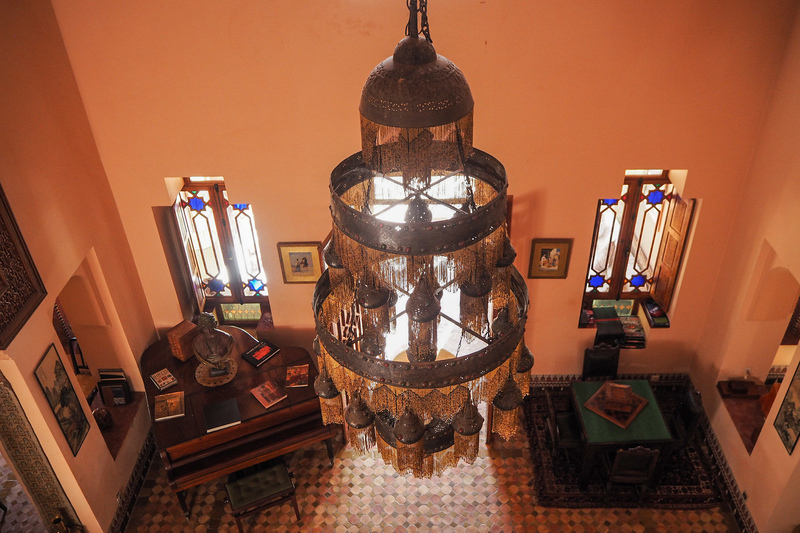 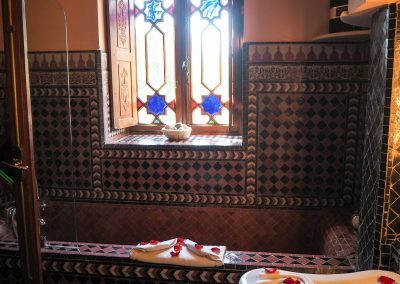 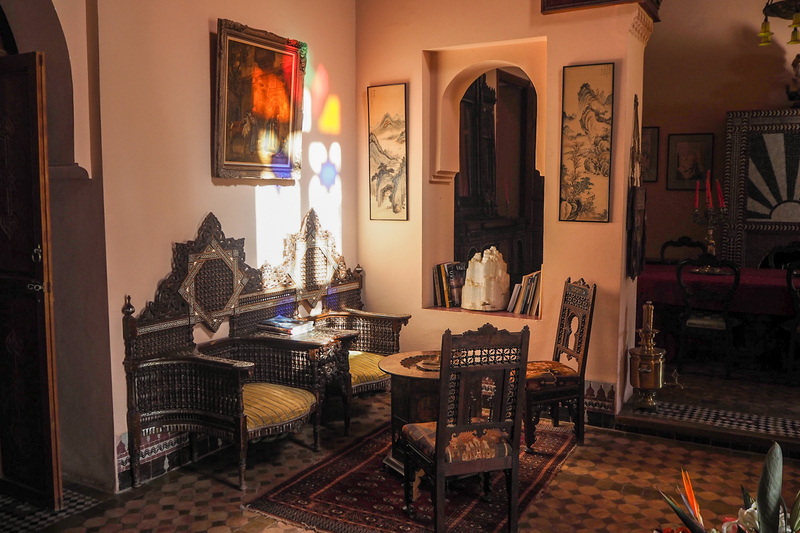 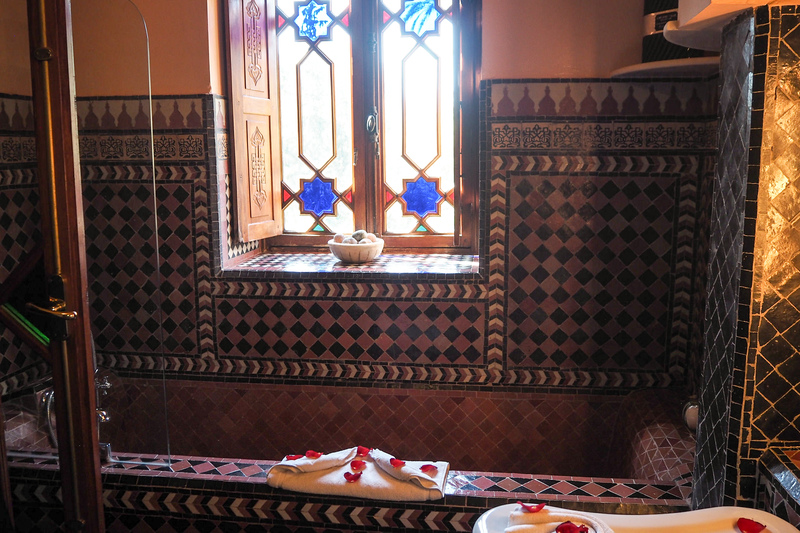 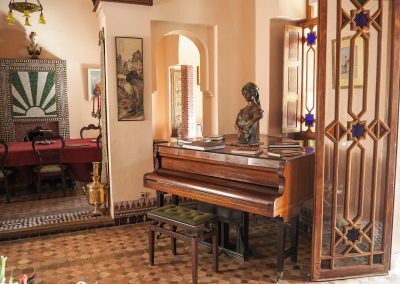 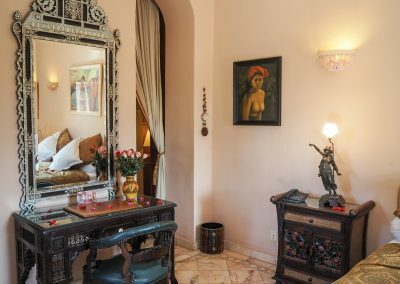 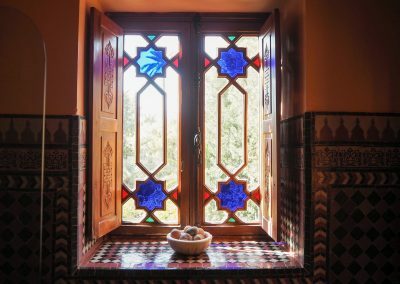 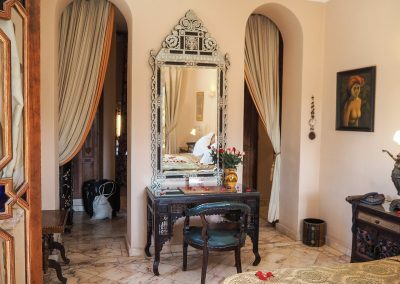 It's furnished in traditional Moroccan style and is decorated with pieces from the family's very own personal collection of decor that they have collected from all over the world. 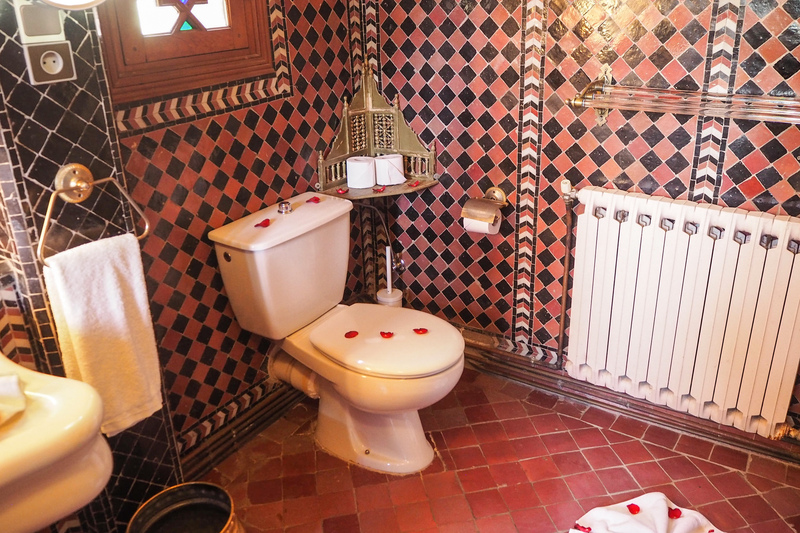 Dar Ayniwen has a spa and a hammam. 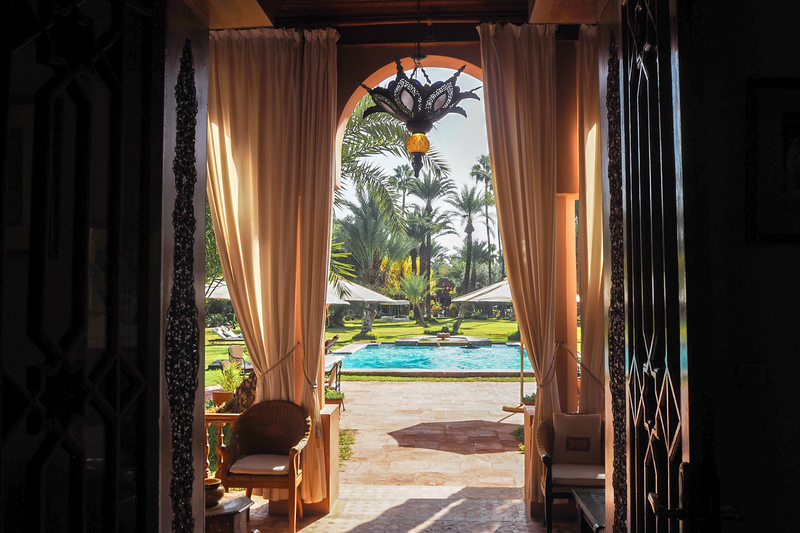 Outside there is a heated swimming pool where guests can enjoy a morning swim after a delightful breakfast on the patio. 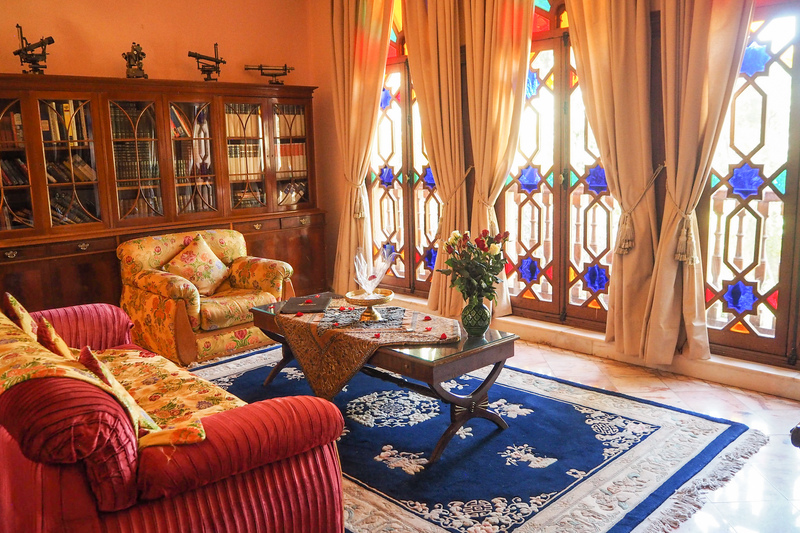 Dar Ayniwen offers their guests free airport and city transfers which makes your stay much more comfortable and not to mention easier knowing you're being taking care of at all times. 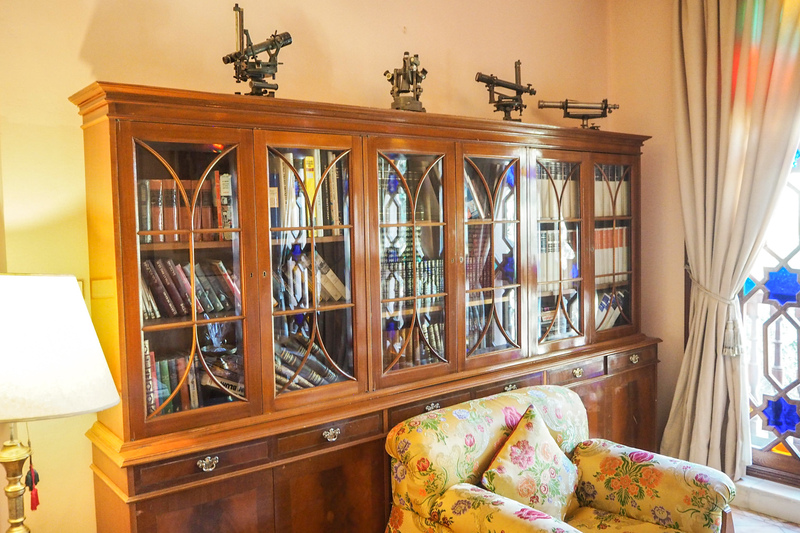 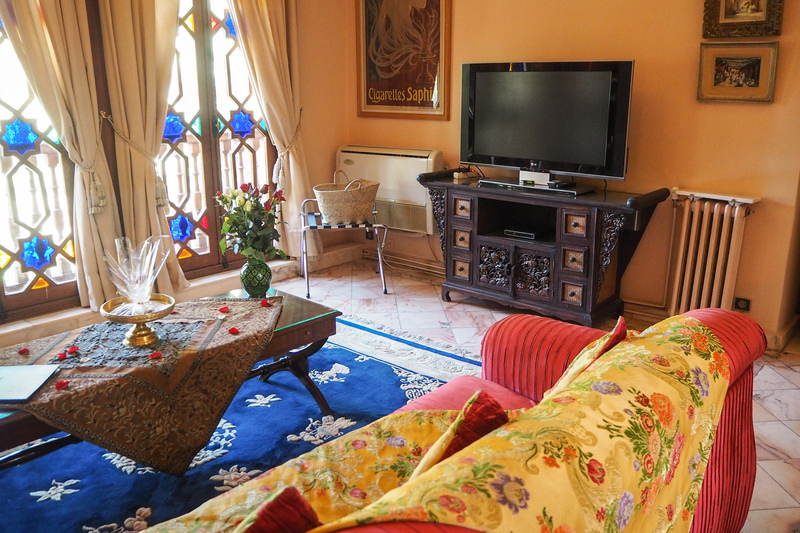 The villa is a short 10 minute drive away from the bustling old city centre and main square. 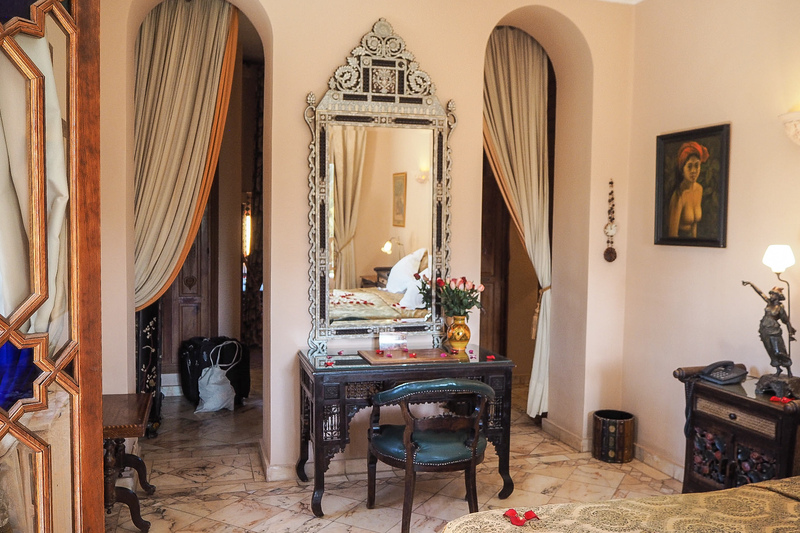 Our beautiful suite was something else. 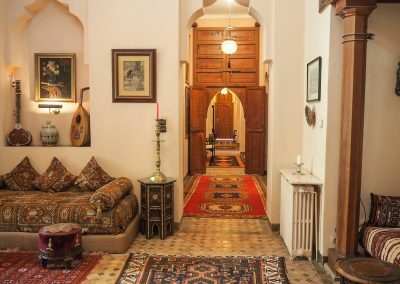 It had that feeling of coming home to a family who had a guesthouse waiting for us rather than a luxurious hotel room. 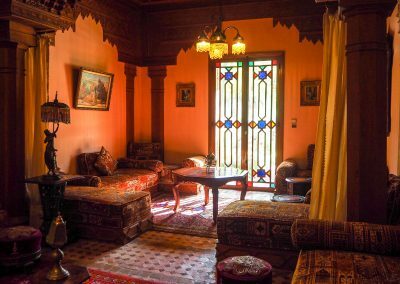 It had a warm and comfortable atmosphere. 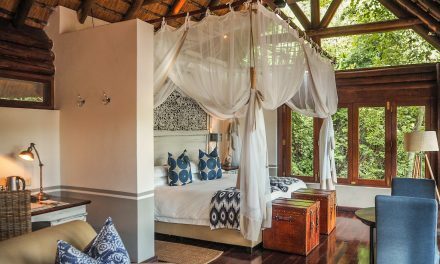 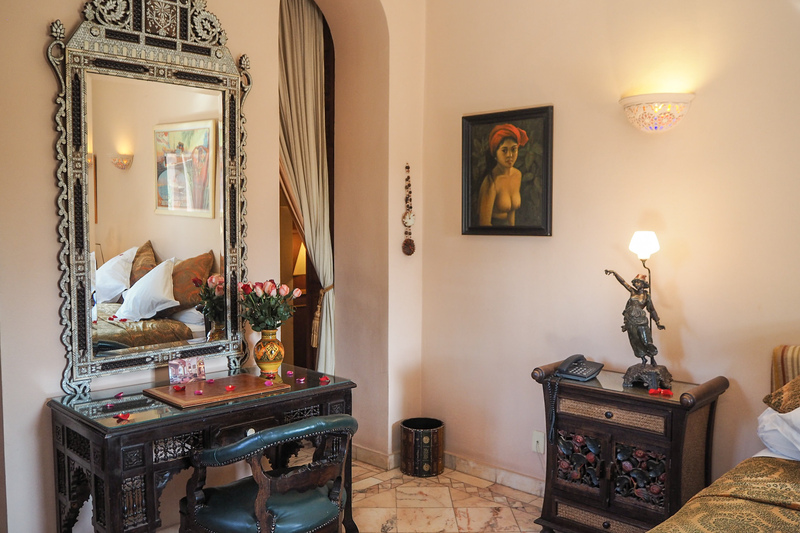 Our suite was 80 square meters big with a separate living room, bedroom and a richly decorated bathroom. 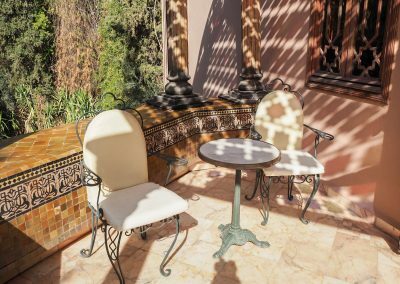 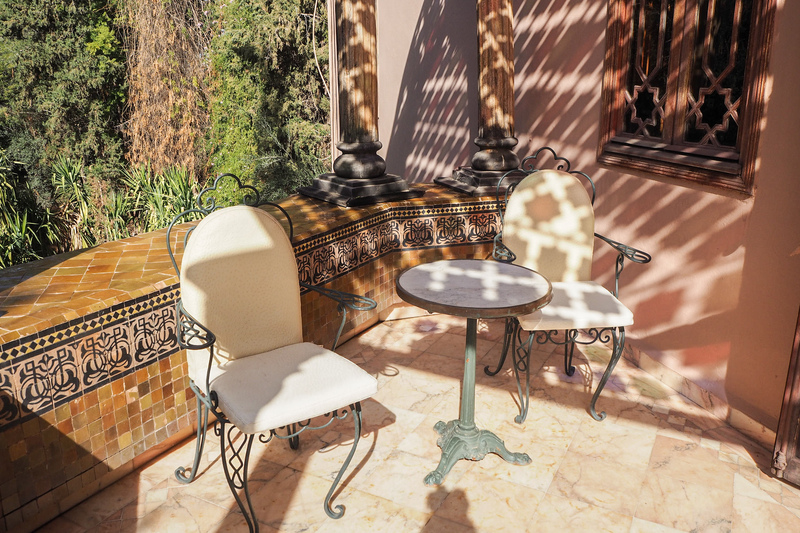 We had two terraces with the most wonderful panoramic views of their beautiful lush garden. 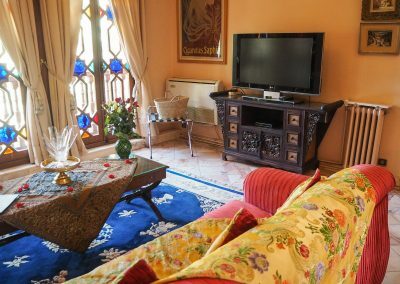 Summary Like I mentioned above I didn’t have a feeling of coming home to a hotel but rather home to a family. 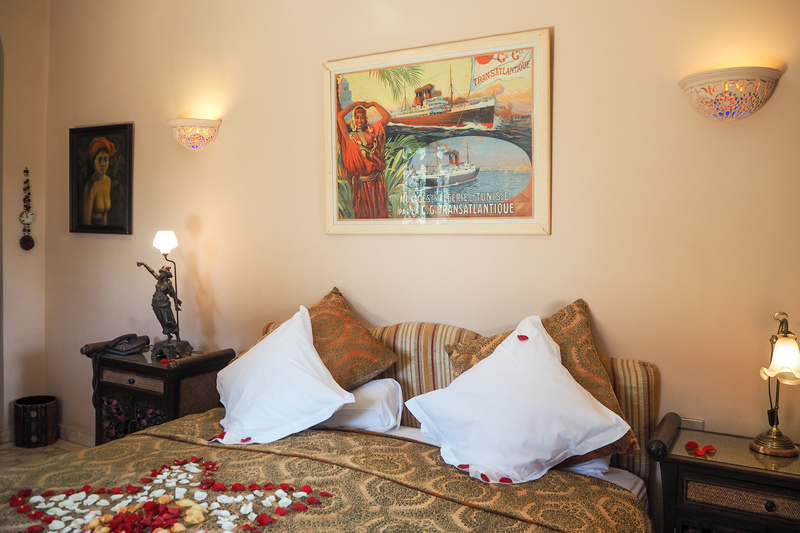 The staff was attentive and heartwarming, always made sure we were comfortable. 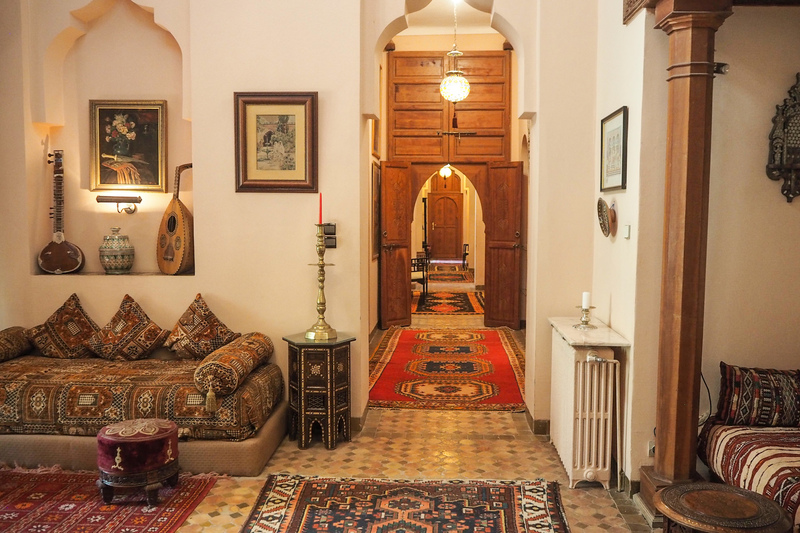 Although Dar Ayniwen is located outside of the old town, approx. 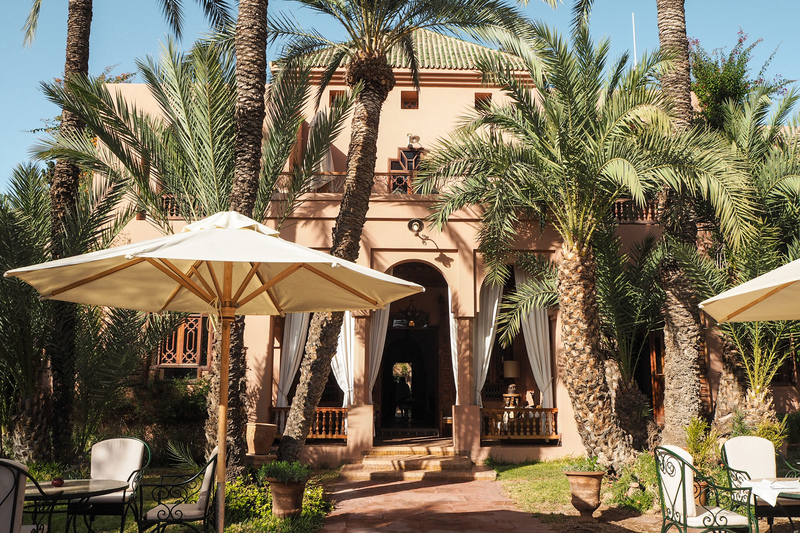 10 minutes by car, the city transfers are complimentary which makes it easier for us guests to get around. 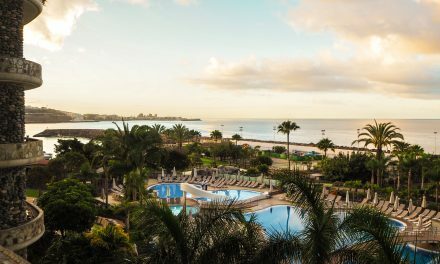 They also offer free airport transers too! 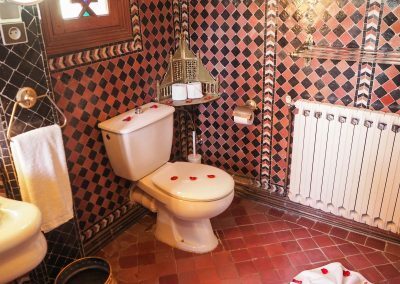 The room was always clean and heated. 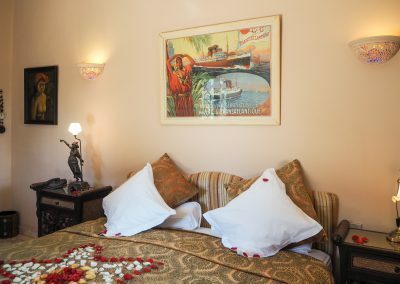 December can sometimes be quite chilly so the staff always made sure our room was warm enough. 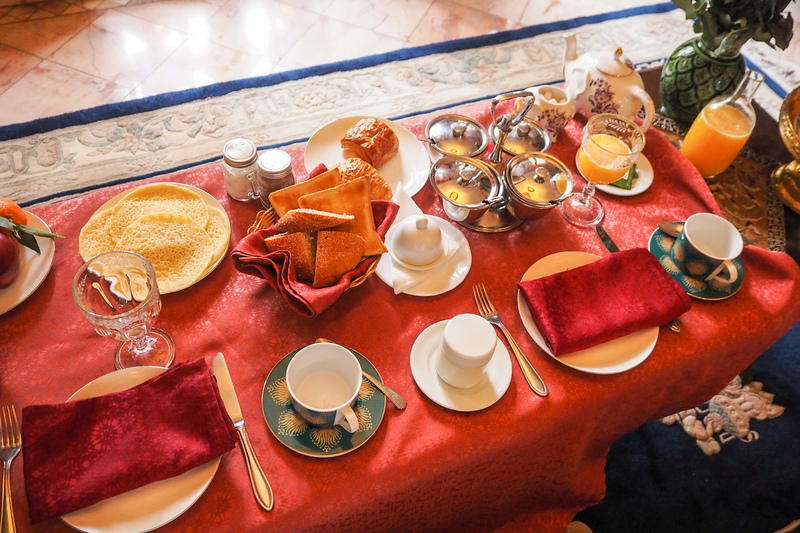 In room breakfast was delicious and lovely set up. 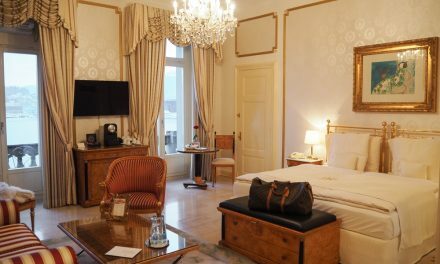 The wifi was unstable, the signal was strong in some areas of our room however it can sometimes disconnect when I move from one place to another. 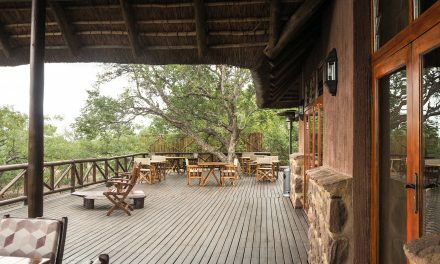 Overall, superb place with superb people!